On September 16, Saeb Erekat, Secretary-General of the PLO's Executive Committee, issued a statement marking the anniversary of the Sabra and Shatila massacre in Lebanon, in which he stressed that "there is no statute of limitations annulling the rights of the Palestinian people's victims." 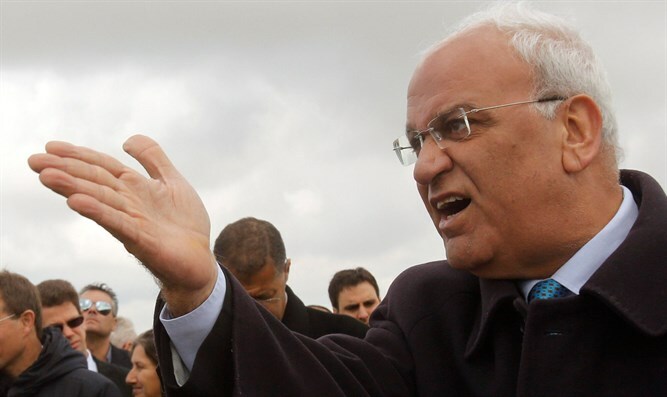 Erekat added that the "State of Palestine" would pursue "the Israeli war criminals and bring them to account for their crimes against humanity." According to him, the policies of expulsion, ethnic cleansing, and systematic killing on which the State of Israel was founded still continues today. "This cruel massacre is a reminder to the world today of the lack of accountability and justice and is a Mark of Cain in an era of human rights principles and international law," Erekat said. He called on the international community to prosecute Israel, "the occupying power", to lift its immunity, to end the "occupation", to recognize the State of Palestine within the 1967 borders, to prohibit purchase of products from Jewish communities in Judea and Samaria, and to boycott Israeli companies profiting from the "occupation." Nowhere in the statement did Erekat mention the application that has been filed on his behalf for a lung transplant in Israel.